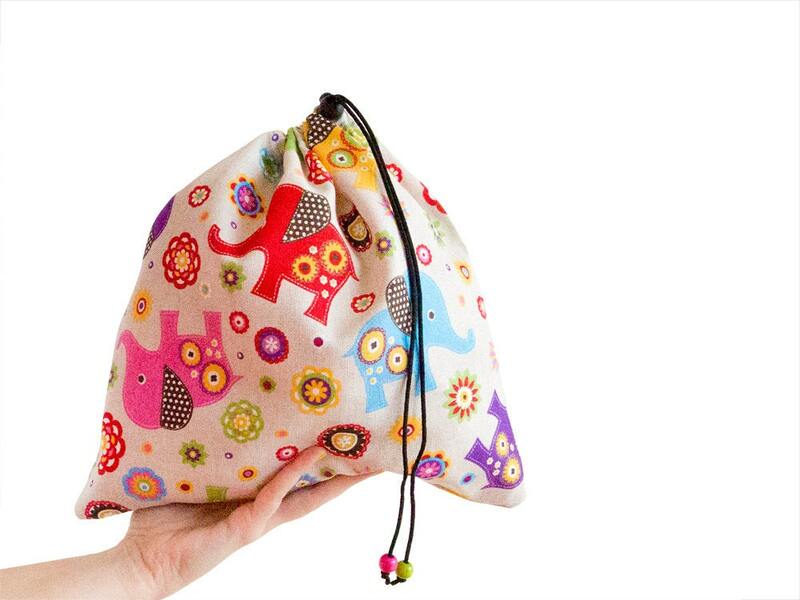 Every day when you use our handmade toddler bag - drawstring toy bag will be filled with lots of laughter and happiness. 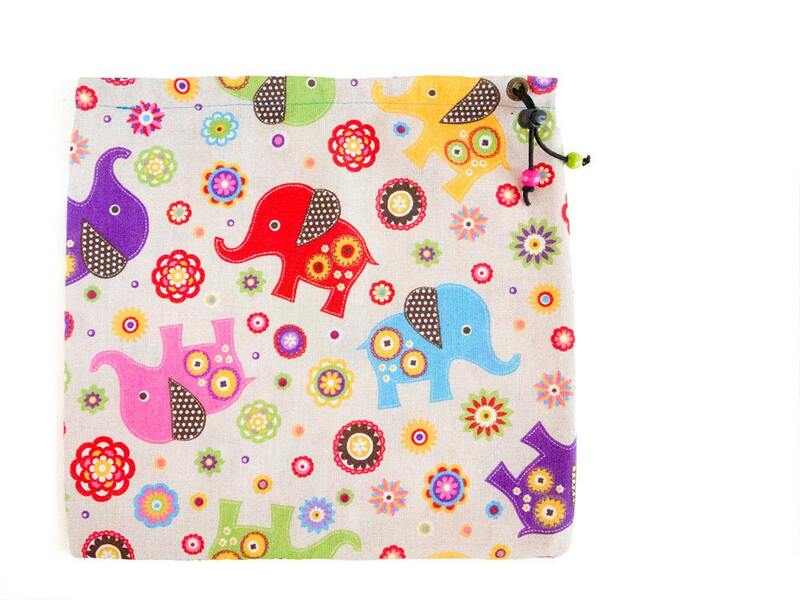 It can be used as lingerie bag, or as a cute gifts for girls. 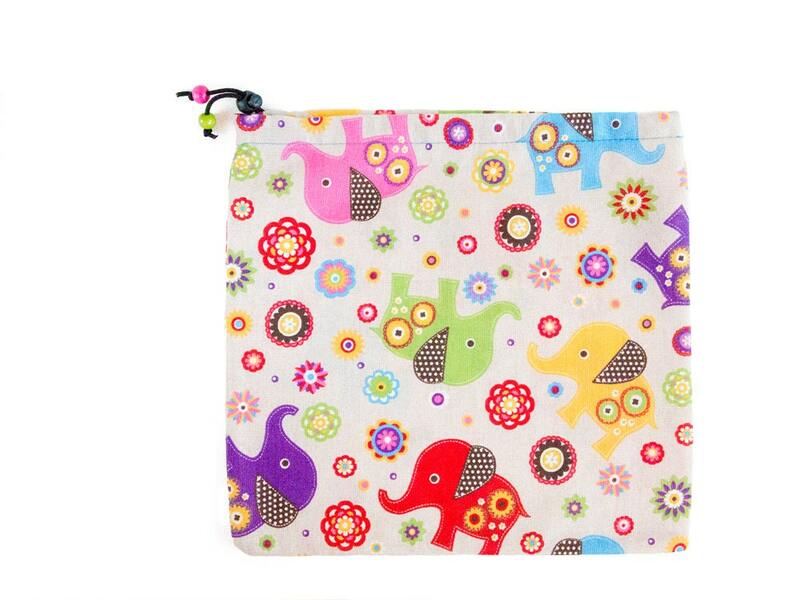 We sew it of durable fabric wit colorful elephants. Dimension: Height 31 cm (12 3/16"), wide 32cm (12 5/8"). Weights 45 grams (1.58oz). 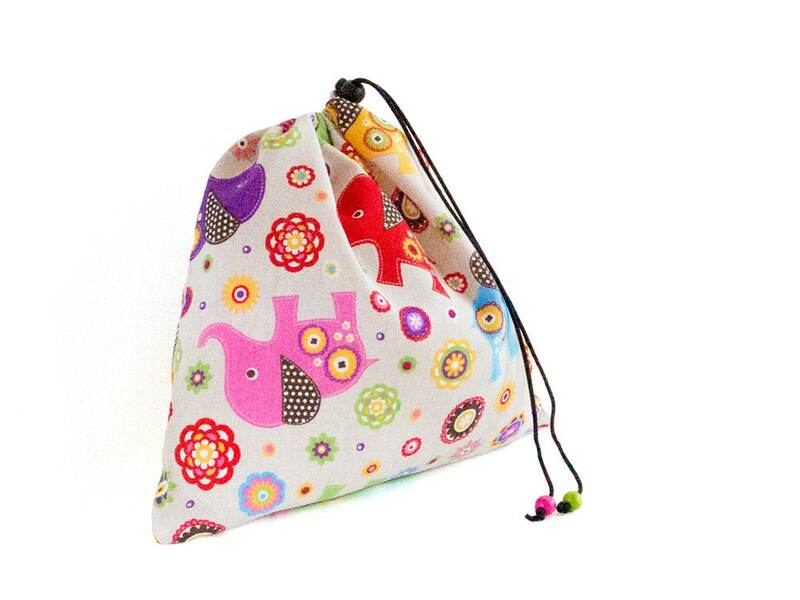 This girls toddler bag closes well with a black paracord rope. 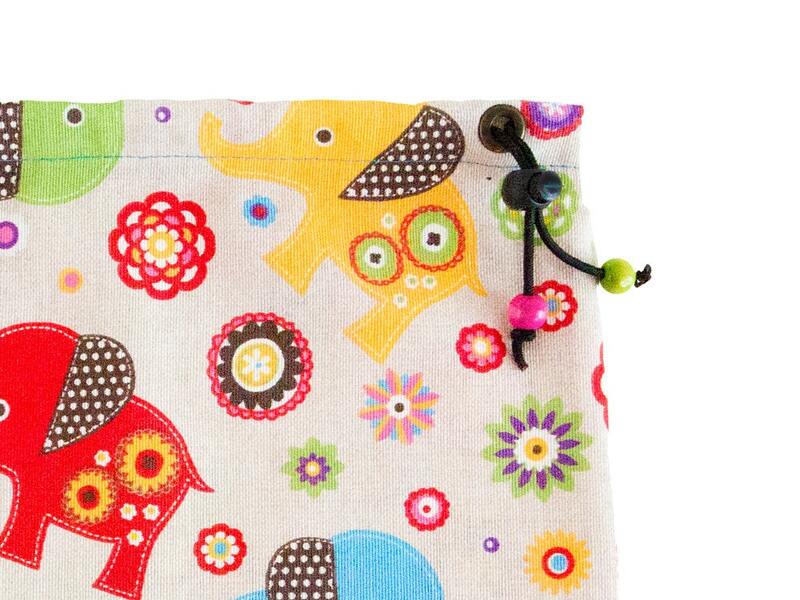 If you order.You will get the drawstring toy bag from the pictures, handmade by us. Down are listed all sections of Nadamlada's climbers shop. Copy and Paste!